Over 460 migrants separated from their children have potentially been deported by U.S.
"These parents urgently need consultations with lawyers, so that they do not mistakenly strand their children in the United States," the ACLU said in the joint court filing on Monday. The Trump administration may have already deported as many as 463 migrant parents who were separated from their children at the U.S.-Mexico border, and they may have lost their right to reunification, Justice Department lawyers said in a court filing on Monday. 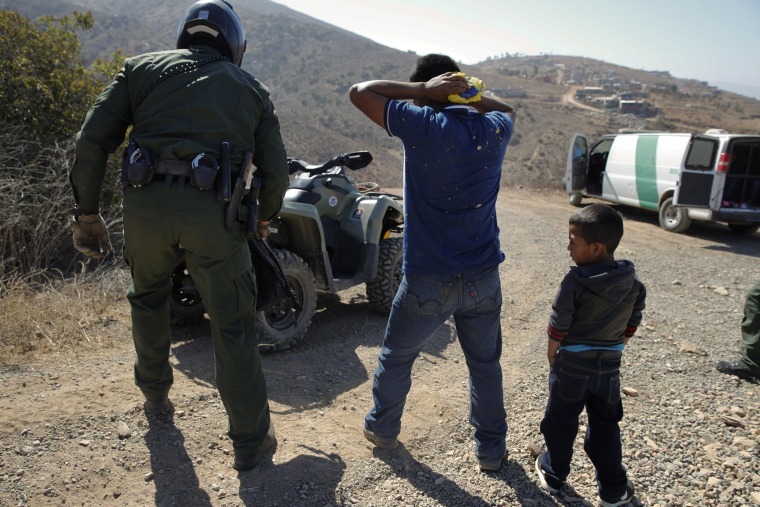 The filing also reported that 879 migrant parents have been successfully reunified with their children, up from 364 on Thursday. But 917 parents may not be eligible for reunification at all. A total of 2,551 children between the ages of 5-17 have been taken from their parents at the border, many of whom were separated under Trump's "zero tolerance" policy that called for the prosecution of all immigrants crossing the border illegally. Migrant parents crossing the border with children now are held in detention with their children and not criminally prosecuted unless they have committed other crimes. The government has until Thursday to reunify the rest of the children, but it is still up for debate which ones are deemed eligible by the court. The Justice Department has argued to U.S. District Judge Dana Sabraw, overseeing the reunification case from the Southern District of California, that parents who were deported had the option to reunify with their children but many chose to leave them behind to seek asylum. NBC News reported on the form given to parents by U.S. Immigration and Customs Enforcement officers that gave them this option, and many immigration lawyers said parents felt pressured to drop their own asylum cases in order to be deported and reunified with their children. Attorneys for the ACLU representing the separated parents say many signed forms to be deported without their children while not knowing their full legal rights. At the ACLU's request, Sabraw ordered a temporary hold on deportations of reunified families until the ACLU could be sure it had reached the parents to provide them legal counsel. Children not reunified with parents will be sent to live with a family member or sponsor while their asylum case plays out, officials have said. A status conference in the case is expected late Tuesday.